Delightful new Ca'd'oro White GoldFoil 14mm round with a base of transparent Moretti aqua glass with splashes of a White Gold Foil. The hole in this bead is a nominal 1mm in diameter. 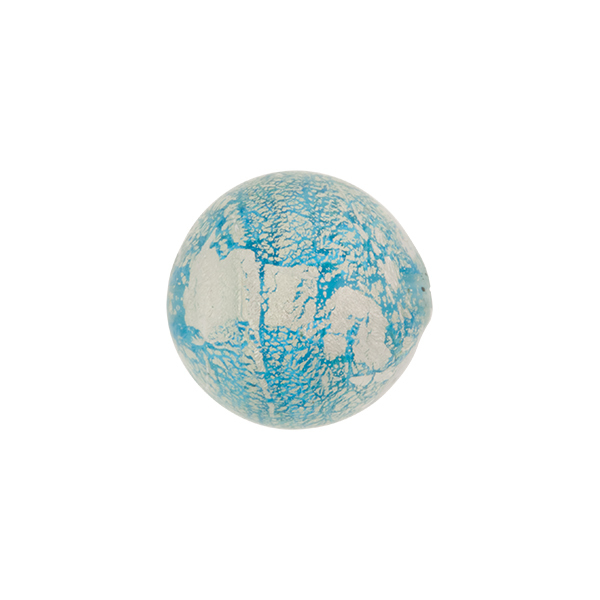 This bead can be used in your Venetian Glass Earrings or Venetian Glass Bracelets. Other sizes and shapes are available.